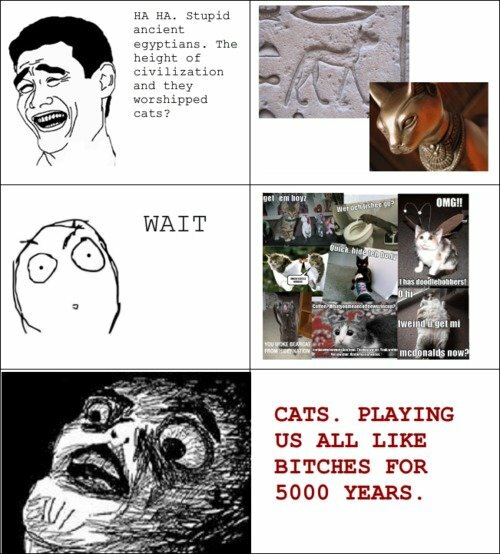 Since the dawn of time cats have existed. They were a source of fear and certain death prowling the land, armed with razor sharp teeth and claws stained with the blood of all who dared to exist near them. 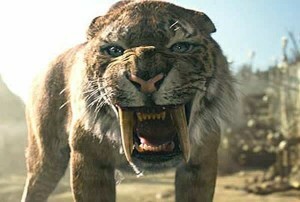 Back in the prehistoric days, before the time of Olde and Yore, humans knew that cats were to be feared. There was balance in the world with the unspoken rule of “you don’t bother us then we won’t eat your face off”. Vague amounts of unspecific years passed with people treading lightly, not wanting to upset these viscous beasts. The crafty Egyptians even went so far as to offer sacrifices and worship hoping not to anger the beasts, but that didn’t end great. Of course time went on, as time is known to do. The human race evolved and changed, conquering the world and growing in our mindset of indestructibility. Our advancements were positive in certain ways, such as giving us electricity and life spans surpassing the age of 35. However, this mentality of invincibility was not without consequence. At some point during our human past there was a foolishly brave Warrior-man who looked at this flesh eating feline and thought “I shall claim that beast as a pet! I can and will domesticate that man-eater and it shall be the ultimate mark of my undefeatability.” That man is the one who ruined the lives of every person on the planet. He brought the beast indoors. Like a vampire he invited it in, leaving the rest of us indoor-dwellers vulnerable. The feline population monitored us, adapting where needed in size and appearance to present itself in the most nonthreatening manner, yet still retaining all of the cutthroat hate-filled instincts of it’s fore fathers. I was six when I discovered the conspiracy. Whilst playing at a friend’s house I approached their “pet”, reaching out to gently touch the creature. Before my hand even made contact the beast reared around and attacked, shredding my hand. The owner went on to explain that if I still wanted to hold the bloodthirsty feline I simply had to give it a treat, approach slowly, reach out cautiously, beg for mercy, offer a sacrifice and then cradle the beast next to my exposed jugular. This struck me as odd because as a dog owner I was unaware that pets came with handling instructions, complete with warnings on how NOT to get mauled. That was the day I learned the lesson that cats are to be feared. I had uncovered the truth! They have found a way in. Knowing that people have an ingrained fear of evil, the cats evolved necessarily, hence the kitten. 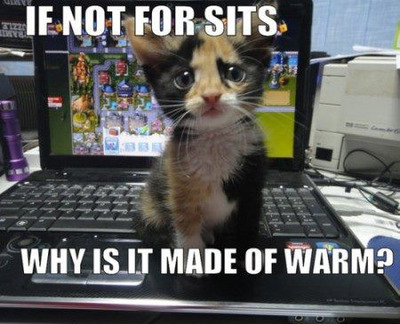 Kitten’s, as we all know, are like sunshine wrapped in a rainbow of adorableness. It is impossible for a human person to look at a kitten and not think “I love that creature and it probably won’t murder me”. But alas, if you have had that thought than it is already too late for you. For once that kitten is in your home they transform, changing from an adorable tyke into their true self. And the end result is devastation and bloodshed as the cats move closer and closer to their goal of enslaving the human race as our supreme overlords. Cats are awful. It’s not an opinion, it’s Science. 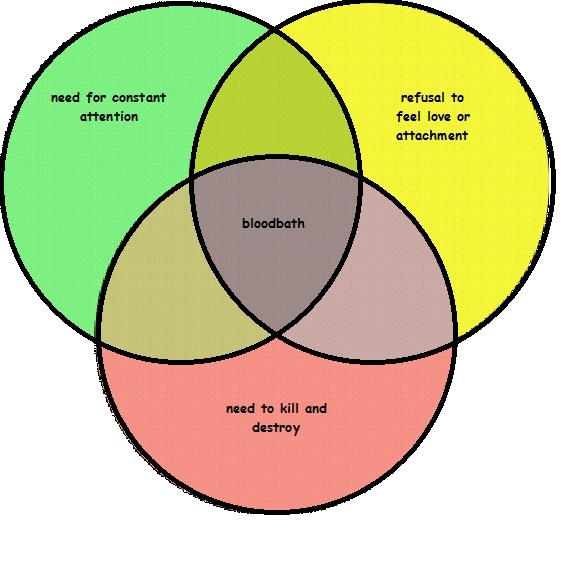 13 Sep	This entry was published on September 13, 2014 at 6:09 pm. 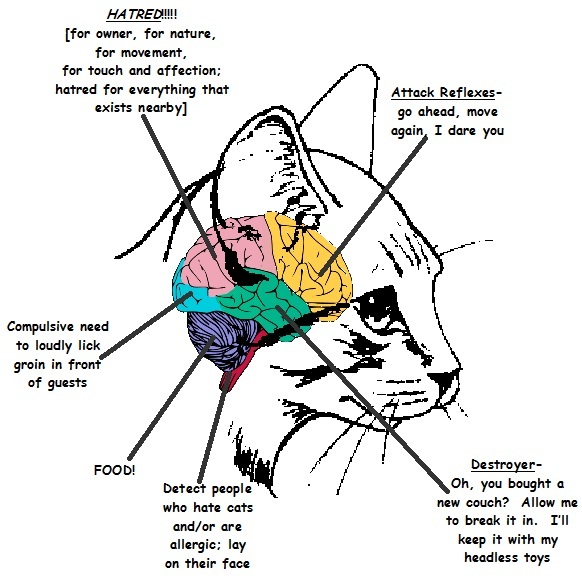 It’s filed under Uncategorized and tagged cat, cats, science. Bookmark the permalink. Follow any comments here with the RSS feed for this post. Newer: Celebrate Good Times, Come On! This is hilarious because I saw this blog after returning from the animal shelter with not one but two cats… I know I know I am a border line animal hoarder, but Jonas was begging for one, and I caved. But let me tell you the story of my day , a sweet rottweiler I have been pet sitting decided he hated me and I was was one second away from being mauled, then when I made my not so graceful escape from him I went to feed their chickens and a rat, not a mouse, a huge brown rat that was bigger than my Chihuahua, ran up my leg. As I flailed about, it’s equally impressive sized friend ran in between my feet. Flight or fight instincts kicked in, and flight won. I ran out of the coop like I was on fire. When I got back to the car Trinity told me that I should have taken one of the cats because they would have eaten the rat. I now feel better knowing the cats will protects from the disgusting rodents that almost gave me a heart attack. Oh and the chickens did not get fresh food or water and I am terrified at the thought of having to go tomorrow. That would only ever happen to you. Your animal stories are some of the funniest things I have ever heard. Wait, is funny the word? What’s a word for tragic AND hilarious? Tralarius? That feels right. Also, you’re allergic to cats Sarah! Mildly allergic… Probably.. It has been a while since I had one. The sad part is I really do love animals but sometimes I feel like Almira on looney toons, I love them and squeeze them and then they are dead, or maybe Lenny from Of Mice and Men. Then their are the ones that try to kill me, I seriously thought that dog last night was going to rip my face off, but I am not a quitter I will keep on trying to make them love me, or at least try to keep them alive. I love the word tralarious, I feel as though it could be used to describe a lot of the things that happen in my life, you should call Webster and make them put it in the dictionary.